Play for a holiday on the Canary Islands, cash prizes and Fair Spins! 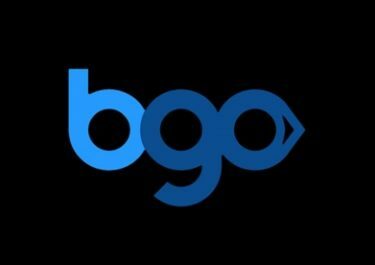 Forget April showers, it’s only raining prizes at BGO Casino. The Boss has lined up a hot new prize draw starring a luxury holiday on the Canary Islands. The winner and a guest will be treated to a 7-night, all-inclusive stay at the H10 Rubicon Palace, an iconic 5-star resort in southern Lanzarote. The Boss has even set them up with full spa access, a sea-view room and return flights. Play your favorite games and level up to earn your tickets to the draw. The Boss is inviting all his players to take part in his latest campaign where the winner will be jetting off to sunny Lanzarote for an exclusive 7-day holiday. Players depositing via Neteller or Skrill do not qualify for the draw. OPT-IN on the promotion page is imperative to qualify for the prize draw. Then get playing across all of the Boss’ great games. Players, who wager enough to unlock at least 1 new Level in The Vault before midnight on Sunday, 15th April 2018, will be awarded the equivalent number of ticket entries into the prize draw as their current Level. For example, make it from Level 45 to Level 50 and you’ll get 50 tickets into the prize draw. On 16th April 2018, The Boss will randomly draw 20 winnings tickets from all eligible entries and allocate the prizes in order they are drawn. Casino prizes will be added within 24 hours, the winner of the Canary Islands package will be contacted via Email and/or phone. Winnings from Fair Spins are cash, no wagering requirement. Main Prize: 7-night trip for two to Lanzarote, Canary Islands, or £2,000 cash equivalent, available upon request. Package for two adults includes return flights from the UK plus 7-nights all-inclusive stay at the five-star H10 Rubicón Palace Hotel, Southern Lanzarote. Runners-up prizes: 1x £500 cash | 1x £200 cash | 1x £100 cash | 1x £75 cash | 1x £50 cash | 1x 100 Fair Spins | 1x 75 Fair Spins | 1x 50 Fair Spins | 11x 25 Fair Spins. All FS prizes are for Tiki Paradise. Launched in 2012 the casino is operated by BGO Entertainment Ltd. with Alderney and UKGC licenses. The site offers a very large range of games for desktop, mobile and tablet from Netent, Bally, Barcrest, BGO Studios, BlueGem Gaming, Endemol Games, IGT, Microgaming, NextGen, NYX Interactive, Playtech, Quickspin, Scientific Games and WMS. The Live Casino tables are provided by Netent Live. The website is available in English language only and customer support provided via Email, Live Chat and Phone, however, not 24/7. 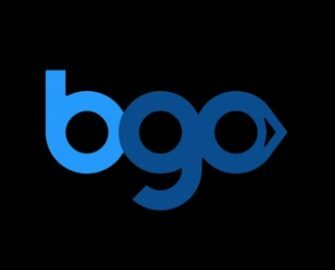 BGO Casino – Sporting Legends £200K Giveaway!